What is expected of me? I got this! Many advisors I speak to are nervous regarding the DOL fiduciary rule. There is hesitation and some uneasiness that comes from simply not knowing what is required of them and thus they question their process. Even when their current process incorporates fiduciary best practices, they feel ill-prepared. That is unsettling for any professional, but especially when you are the trusted advisor for someone’s financial future. I also speak to advisors who feel completely unaffected by the rule. “I’ve been acting as a fiduciary for years,” they tell me. While it’s great to feel confident, there is no harm in taking a few moments to double check your process to ensure you are meeting all the requirements expected of you. In 1999, Fi360 began educating financial professionals on a standard set of Prudent Practices®, and a few years later had them published as the first handbook dedicated to establishing a Global Standard of Fiduciary Excellence. The Prudent Practices are highly regarded in the financial industry and have even been used in litigation at the Supreme Court to prove a breach in fiduciary obligation. 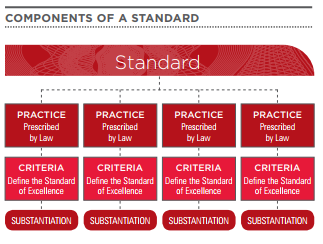 The Practices, supported by various case law such as ERISA, UPMIFA and UPIA, build a framework for a prudent investment process, while the underlying criteria to each practice provide further details that support the practice. Altogether, the Handbook details 21 practices that represent the minimum fiduciary process required by law, each with at least two underlying criteria. The fiduciary movement is gaining momentum with end investors, who are more likely than ever to ask their advisor about their fiduciary responsibilities. The pressure is on! Assessments are typically conducted to raise awareness of a fiduciary issue, or to identify potential shortfalls that may occur within an investment decision-making process. Assessing one’s own work can be difficult, but it is crucial in providing actionable information on opportunities for improvement and to verify you are adhering to a Global Fiduciary Standard of Excellence. Are you familiar with all the laws? Are you documenting properly and presetting your clients’ true and accurate information? Are you applying a good due diligence process? 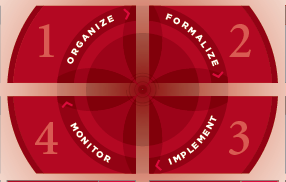 Fi360 has a great resource, the Self-Assessment for Fiduciary Excellence (SAFE). The SAFE is a simple and effective tool to quickly establish compliance with fiduciary practices. Not only does the SAFE verify adherence to a prudent practice, but it also enables fiduciaries to prioritize and measure progress, and better assure clients are well served. So, you’ve taken the SAFE. Now what? Well, if you answered “no” or “I don’t know” to any question, this may indicate that a potential breach, omission, or shortfall could occur within your investment decision-making process. Adopting the Fi360 Prudent Practices into your own investment processes can mitigate compliance risk, improve efficiency and effectiveness, and distinguish you as a fiduciary specialist. Accredited Investment Fiduciary® (AIF®) Designation training is rooted in Fi360’s Prudent Practices, which are substantiated by case law. Only AIF® Designees have been certified specifically for their ability to follow a fiduciary process with their clients’ best interests at heart. In an industry that relies primarily on referrals from satisfied clients, it’s your reputation and your ability to demonstrate your commitment to your clients that will help you stand out and win more business.